Here's a list of some of Hunt Valley Horsepower's appearances in print and internet media as well as radio. On November 11, 2017, MotorWeek aired the feature on The Dragonfly Bus that visited Hunt Valley Horsepower back on October 7, 2017. I had seen the bus on a USA Today story a few days prior and boom, they're traveling through Hunt Valley. It's one wild ride and it was superb to meet the family. On April 4, 2017, MotorWeek's John Davis was interviewed on Baltimore's 98 Rock on the Justin, Scott & Spiegel Morning Show. Our community garnered a mention by the man that I started watching on MotorWeek when I was 8 years old. The segment starts at 3:51. On Saturday, August 20, 2016, the new YouTube duo from Twin Cam visited for an interview. On Saturday, April 5, 2014 for our 2nd Anniversary, MotorWeek -- television's longest running and most respected automotive series -- was on hand to capture our community's automobiles and interview our community's members. 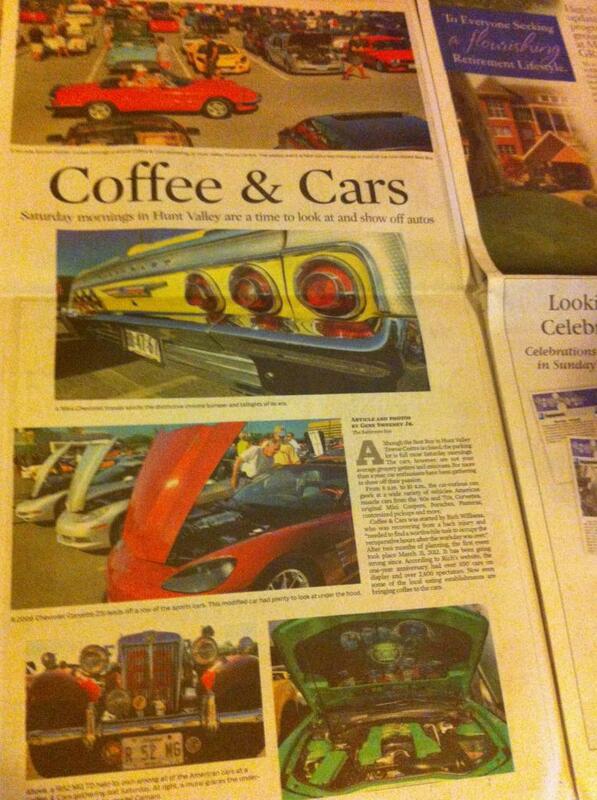 On May 17, 2014, the feature story on the phenomenon of morning automotive enthusiast gatherings began airing across the U.S.